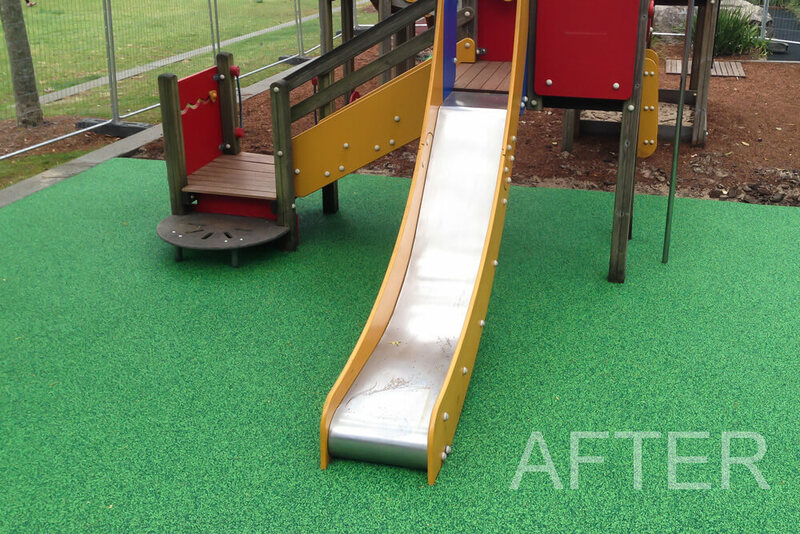 We specialise in School Playgrounds - Aged Care - Golf Courses Centres. 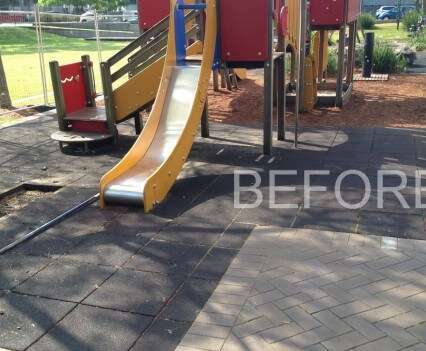 Our tradesmen are enthusiastic and well-practiced in all phases of safety surfacing in Sydney, from site preparation to pouring of rubber surfacing or laying synthetic grass. 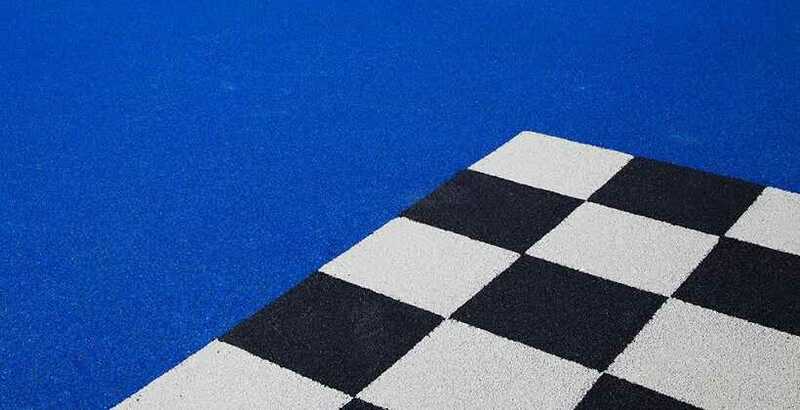 We also offer rubber surface repair in case your solution has lost its grip. 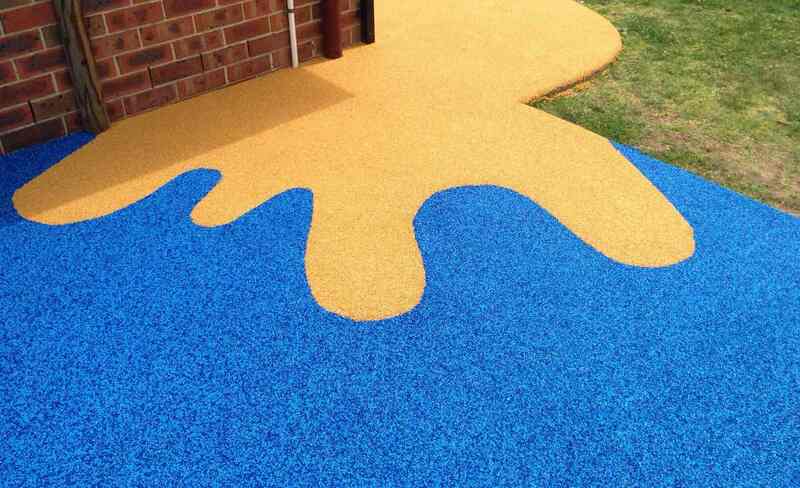 We take pride in our work and no design is too difficult. Except prawns. 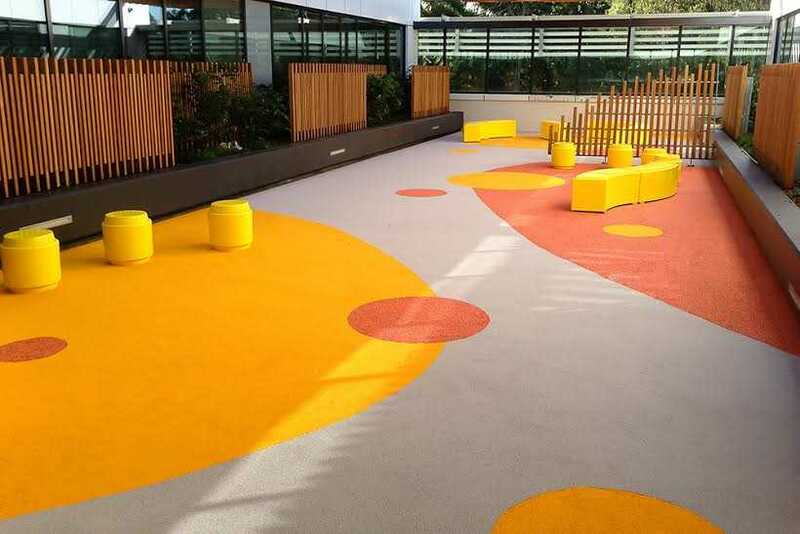 Or snowflakes.We can suggest a design for you or work with you to produce stunning patterns for safety surfaces in Sydney that will last many years and provide not just safety but colour and vitality to any space. 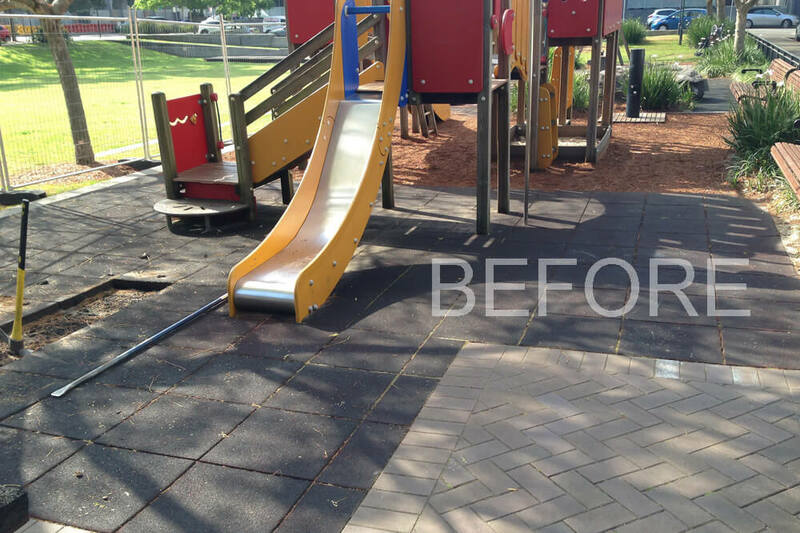 EPDM is perfect for transition spaces in aged care facilities. 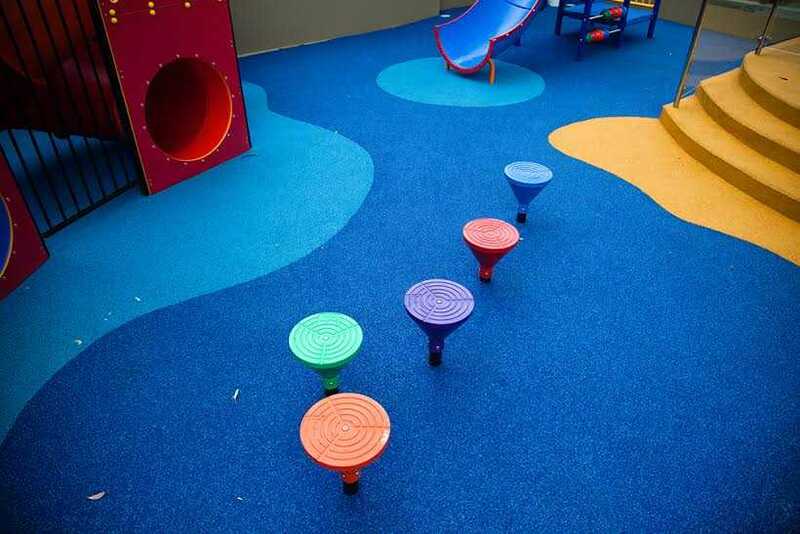 It's anti-slip, it has no joints to trip over, and it can also have a softfall underlay making it even safer in the event of a fall. 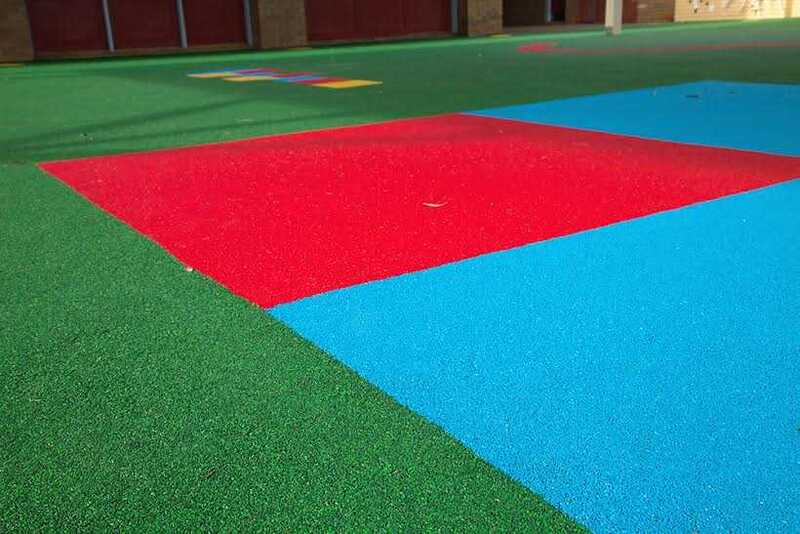 Contrasting colours may be used to highlight hazards such as steps and edges. 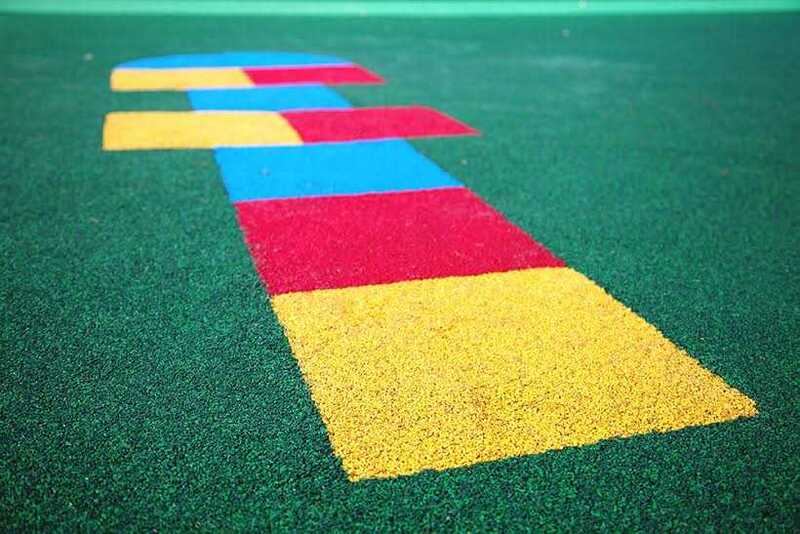 A resilient surface is essential when walking on spiked shoes. 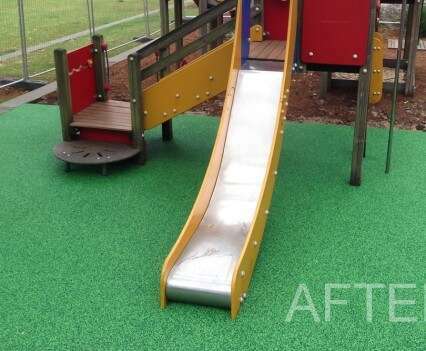 EPDM is used the world over in sporting applications. It not only protects the wearer from slipping on paved surfaces, but it is hard wearing and won't require replacement for many years....and it prolongs the life of your shoes.